Rose Quartz, and Serenity, are Pantone’s Colors of the year. As designers draw inspiration from Rose Quartz and Serenity, we’re excited to incorporate the soft hues into our sessions! 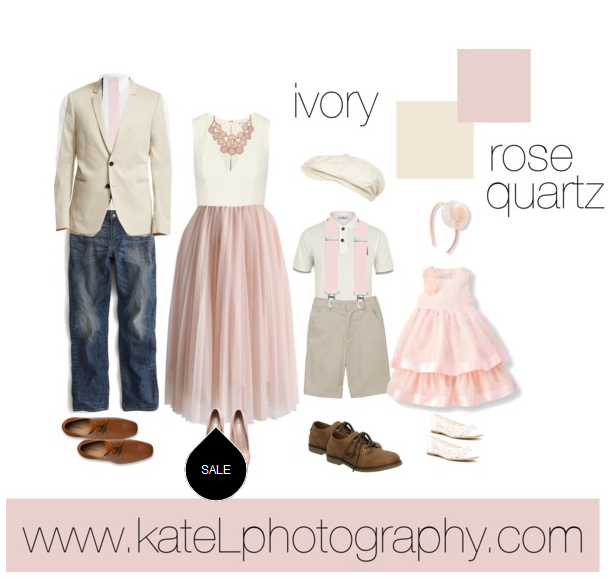 Check out our shopable Polyvore family session ensembles below, styled by our own Kate Lemmon of Kate L Photography, and get inspired by these beautifully delicate shades.